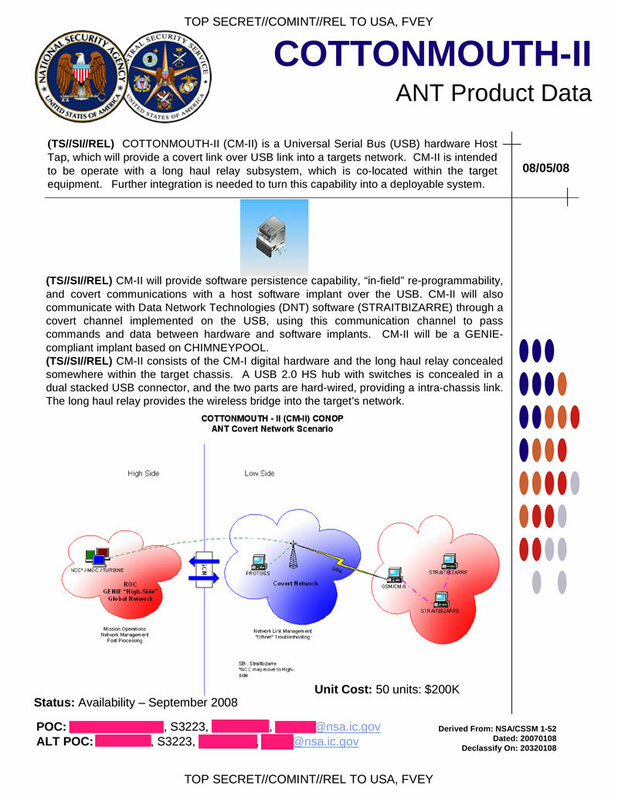 COTTONMOUTH-II is a Universal Serial Bus (USB) hardware Host Tap, which will provide a covert link over USB link into a targets network. 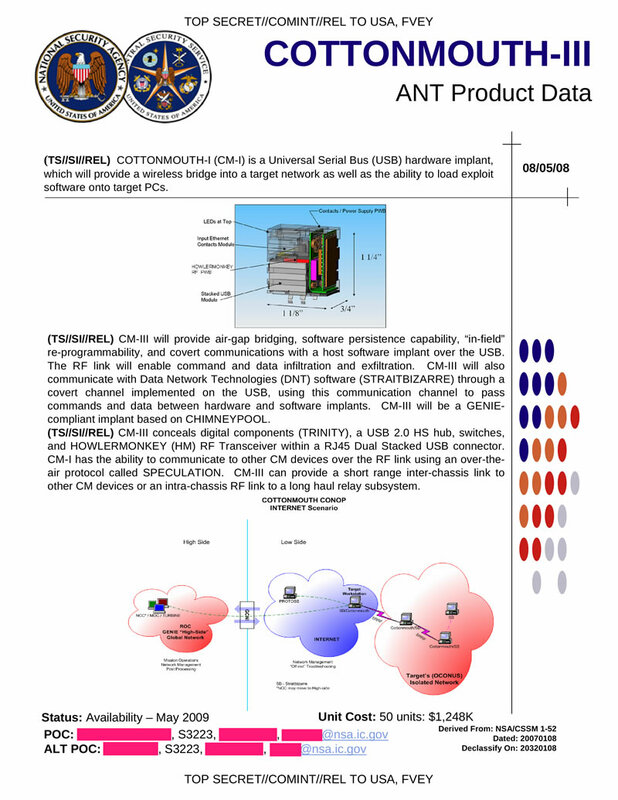 CM-11 is intended to be operate with a long haul relay subsystem, which is co-located within the target equipment. 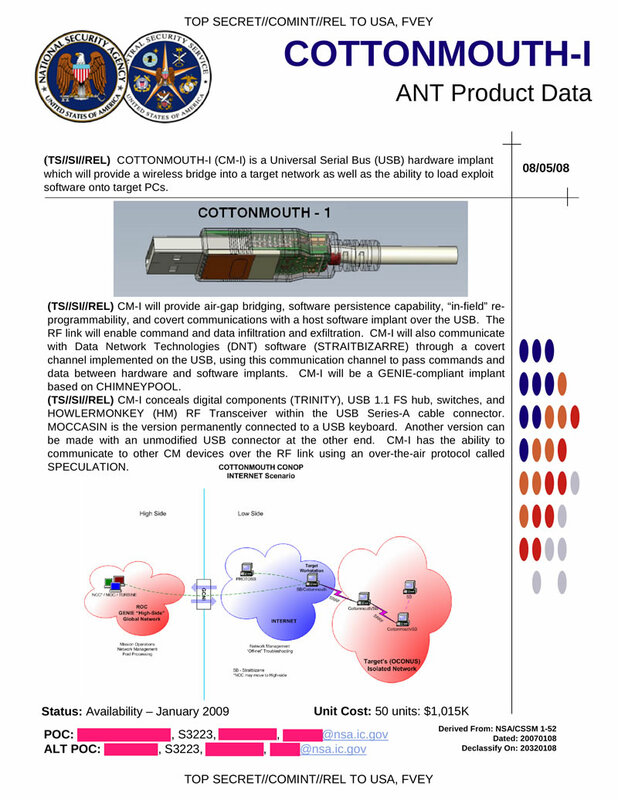 COTIONMOUTH-III is a Universal Serial Bus (USB) hardware implant, which will provide a wireless bridge into a target network as well as the ability to load exploit software onto target PCs. 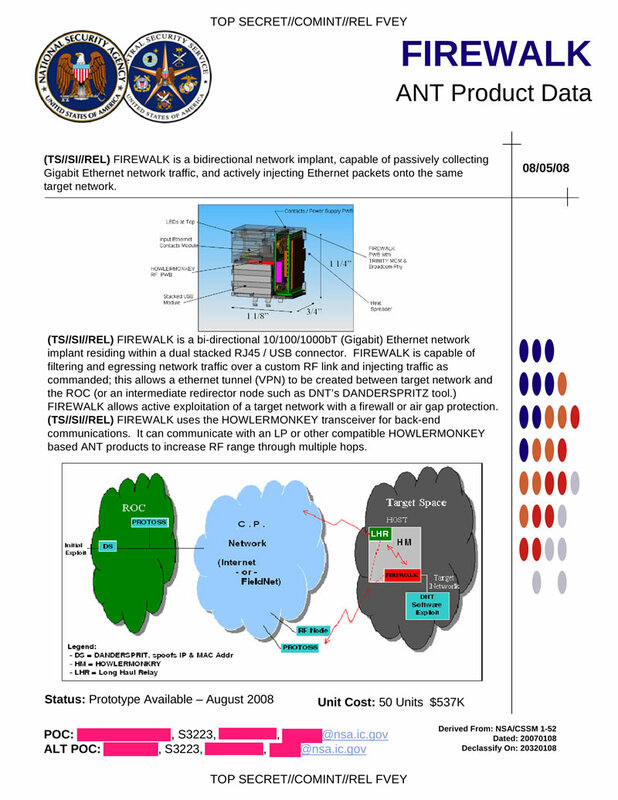 FIREWALK is a bidirectional network implant, capable of passively collecting Gigabit Ethernet network traffic, and actively injecting Ethernet packets onto the same target network.